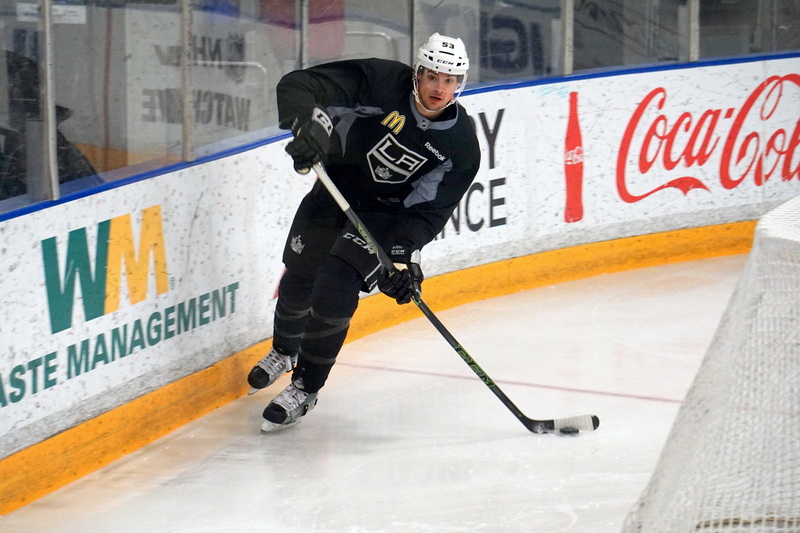 -As we await a hypothetical suspension, Tom Gilbert skated as an extra and was joined by Jordan Nolan, who isn’t expected to skate tonight. Andy Andreoff did not take the ice with the group. -Gravel, on whether he was disappointed to not make the team out of camp: “I think so, and I think that’s OK as long as you use that in the right direction. Obviously you set a goal and your goal is to make this team out of camp, and that didn’t happen but you just go down there and continue to get better. Obviously I’m not a finished product yet and there’s a lot of things I can learn, a lot of things I can still work on, and you just try not to think about it and wherever you’re at you just kind of show up and play your game. You let everything else just take care of it self and as long as you’re taking care of the things that you can take care of everything will sort itself out.” Purcell, Gravel stories coming soon. 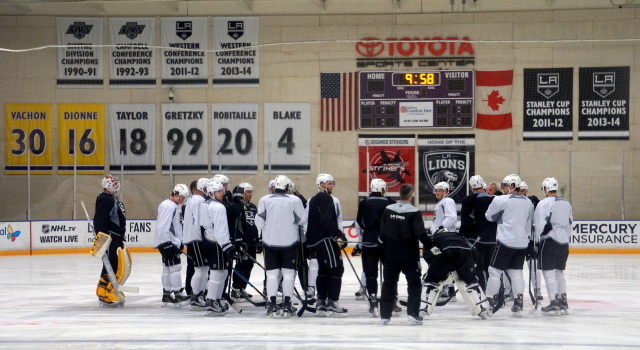 -Peter Budaj and Jack Campbell were the goalies on the ice. 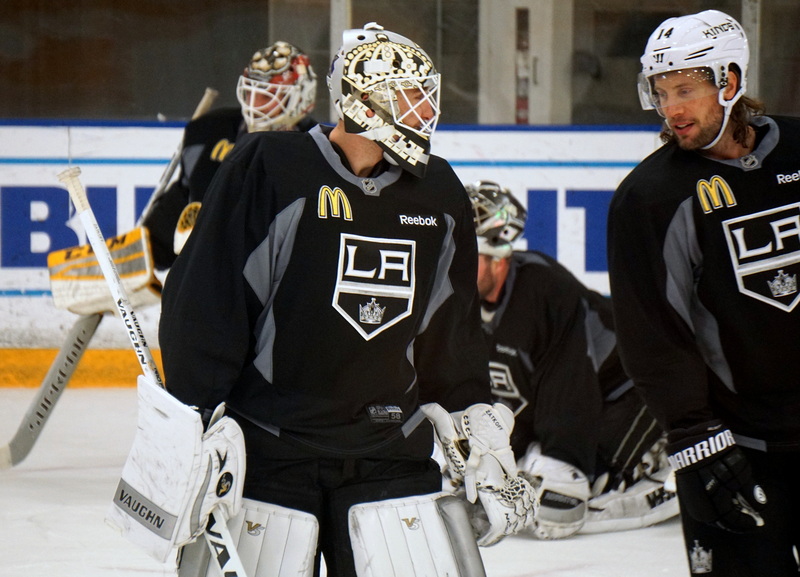 Budaj left the ice first and is expected to start against Pittsburgh. 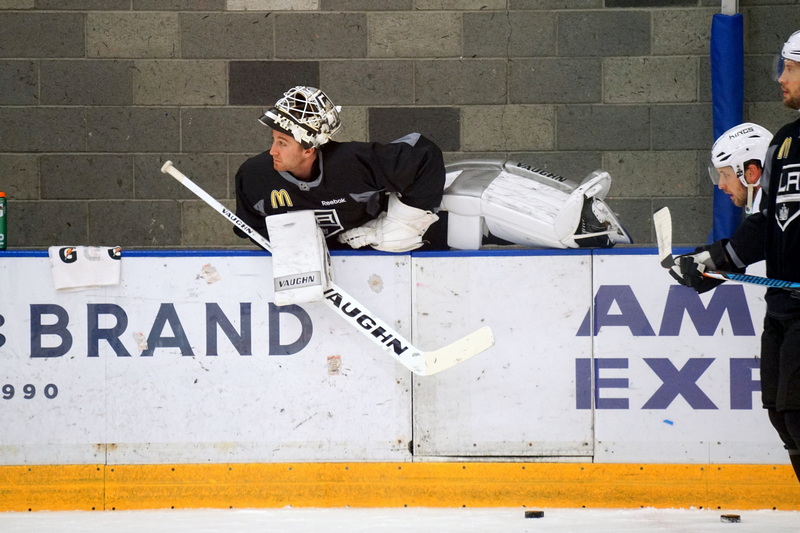 After the skate, Anders Lindback took the ice and got in some work with Bill Ranford. Again, it’s very possible that Lindback, who is currently on an AHL PTO and can not play NHL games with that contract, will get into games with Ontario in Tucson this weekend. -Darryl Sutter “was shocked and surprised” by the decision to hold a hearing for Tom Gilbert’s hit on Nick Ritchie from Tuesday. Full quotes to come early this afternoon.